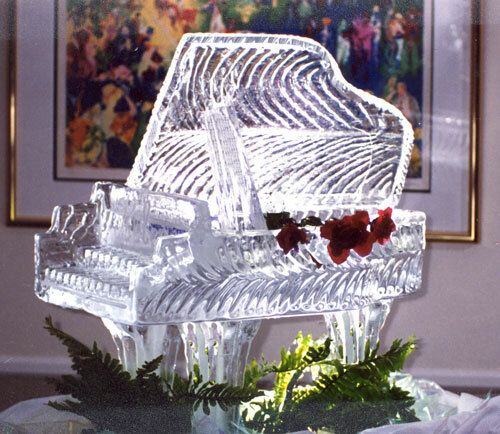 Note: Our Fun Food Art and Fun Ice Art programs are for amatuer enthusiasts. vegetable carving, and ice carving skills! "Oh, my gosh. That's incredible!" ...it will be YOUR artistry they're so thrilled about. 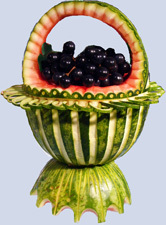 Make your own fruit carvings and take them home! $450 for 6 hours, including cost of fruit, vegetables, and use of all tools. $350 each for 6 hours, including cost of fruit, vegetables, and use of all tools. $250 each for 6 hours, including cost of fruit, vegetables, and use of all tools. The Fun Food Art classes above are taught in the AICD Studio. We will also be happy to arrange classes in your home or other special location. Highly entertaining Thai fruit carving and vegetable carving demonstrations are also available - fees vary based upon business class travel costs, deluxe accomodations, length of demonstration, and amount/type of fruit and vegetables required. Make your own beautiful ice sculptures and take them home! $550 for 6 hours, including cost of ice and use of all tools. $450 each for 6 hours, including cost of ice and use of all tools. $350 each for 6 hours, including cost of ice and use of all tools. 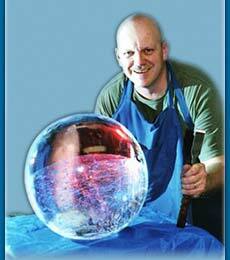 The Fun Ice Art classes above are taught in the AICD Studio. Highly entertaining ice carving demonstrations are also available - fees vary based upon business class travel costs, deluxe accomodations, length of demonstration, and amount, design, and size of ice carvings required.